Elegantly designed rooms equipped with modern amenities and spacious banquet hall. 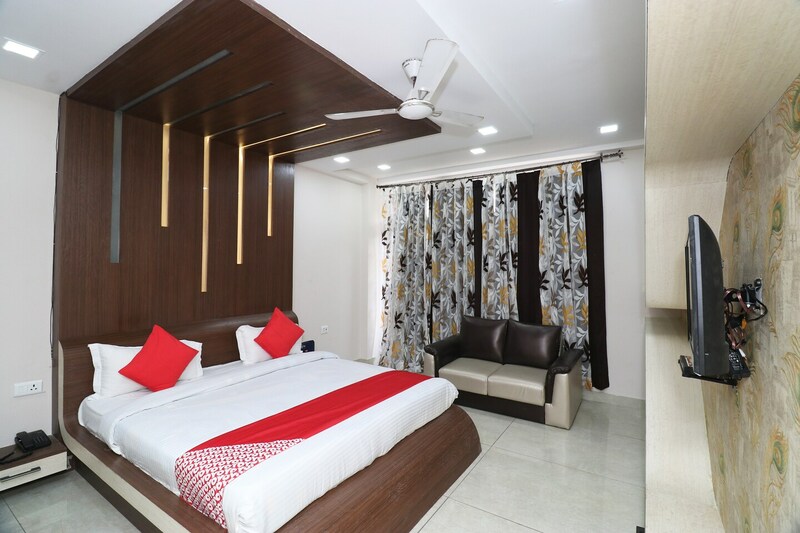 Rainbow Gold Inn offers plush and elegantly designed rooms and is located in Aliganj. The interiors of the hotel are plush and elegantly designed. Modern wooden finishing and furnishing add a charm to the overall decor of the room. The walls are painted in white and decorated with beautiful textures. The sofas add an extra seating space in the room. Various modern amenities are offered in the room for the comfort of your stay. Dining area in the hotel is where guests can enjoy tasty treats. CCTV cameras are installed in the premises for the security of your stay. Various amenities are offered here including free Wi-Fi, power backup, parking facility and card payment for the convenience of your stay. Mock & Tales, Awadh Biryani, Chahat Biryani, Joeys Cafe and Shaukeens The Bistro are some of the eateries located in close proximity of the hotel where guests can enjoy delicious meals.